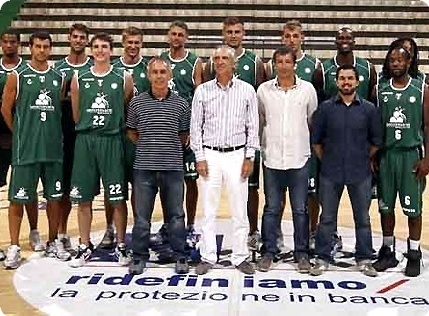 It is the beginning of a new era in Siena with Coach Luca Banchi being handed the reins and with nine new faces on the roster. The perennial Italian champions fully reconstructed their perimeter with playmaker Bobby Brown, combo guards Aleksandar Rasic and Daniel Hackett, shooting guard Matt Janning, swingman Marcelus Kemp and forward Kristjan Kangur. Looking to improve in the rebounding department, Siena also bolstered its frontcourt with size, experience and athleticism by bringing back Benjamin Eze and adding Mario Kasun and Viktor Sanikidze. Brown has been given the responsibility of running the team. His basketball IQ, great passing and shooting skills will provide plenty of options for the Montepaschi attack, and he has the pieces around him to benefit from his play. Rasic and Hackett have often been difference makers on their teams, while both Kemp and Janning can score in bunches. Seasoned veteran Marco Carraretto, the lone returnee among the perimeter players, has mastered his role as a spark off the bench. Small forward David Moss is one of the keys to the team’s chances with his all-around skills and contribution on both ends of the floor, while the addition of Kangur gives the team a dangerous three-point shooter. Montepaschi was the worst offensive rebounding team in the Turkish Airlines Euroleague last season, so they addressed their rebounding woes and paint control by securing the athletic inside presence of Eze and Kasun, as well as high-flying forward Sankidze. Veteran center Tomas Ress, coming off his most productive Eurolegue season, couples with Luca Lechthaler to provide relief. Potent offense and athleticism are the features of this new Siena team, and that is how it will try to compensate for a lack of experience. Moreover, even if some of the newbies don’t pan out, a deep squad featuring 12 legitimate rotation players leaves Coach Banchi margin for error. 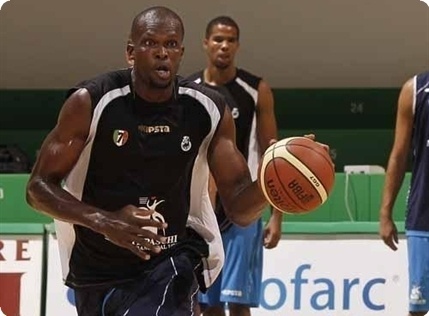 It may be a building process as the season progresses, but there is every reason to believe that Montepaschi Siena will extend its run of five straight Top 16 appearances and compete deep into 2013. A familiar and reliable anchor in the paint is just what this new-look Siena squad needed, and they get it with Eze. The veteran center is back with the club where he shined for six seasons at the height of his career. Long and athletic, he will be the last line of defense for Coach Banchi’s team and his shot-blocking and rebounding should set the tone for the team as a whole.